Join us for the annual Fab 40s 5k Run/Walk benefiting the Alzheimer’s Association of Northern California. The Fab 40s 5k Run/Walk will be held on Saturday, July 27, 2019. The name of the race comes from the fabulous forties neighborhood in which the race is held; the East Sacramento community has embraced this event and looks forward to seeing and cheering on all event participants. 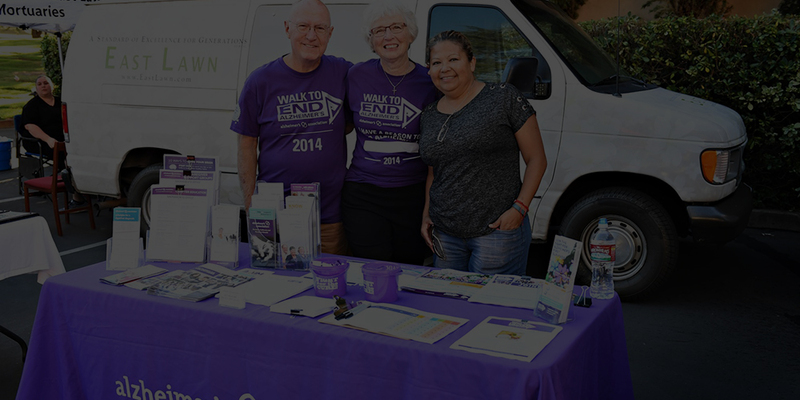 We are excited to continue our commitment to helping families affected by Alzheimer's disease. The ultimate goal of the Fab 40s 5k is to raise funds for outreach and respite care services for families affected by Alzheimer's disease. The Alzheimer’s Memorial Wall, constructed exclusively for East Lawn, was dedicated on November 1, 2011, and is the first of its kind in the nation. It holds names of those who are living with the disease as well as those who have passed away from Alzheimer’s disease.